Some of the interviews in this feature. What are her charms when you saw her for the first time? Maeda: She was really small and i was so touched thinking “she is the icon of pretty girls”. She grew day by day and I always said “you’ve grown taller again~!” when i met her(laugh). She grew by 20cm and is now taller than me. When you see her activities elsewhere, what other charms did you discover? Maeda: I like the Sakura in “Majisuka Gakuen”. Anyways, she’s cute! When i told her straight to the face, she got embarrassed and didn’t like it. But from this reaction, you can tell she takes acting seriously, and i remember thinking to myself that she’ll become a great actress. What charms can she improve on? Maeda: Like…dyeing her hair as she ages. I was like that too during a period when i wanted to look more mature. But i also want her to continue the orthodox style of being cute with black hair. Also, i hope she can become a solid center, as i feel like the “center” of AKB48 has not been decided yet. So i hope she can aim for “immovable center” with a positive mindset instead of questioning herself. If it’s Sakura, she can do it! Sakura: Initially i was more of a fan than a member. After that, i remember tearing up when i listened to Maeda san singing “Yume no Kawa” on stage. At that time, even though we didn’t have much interaction, something welled up in my chest. Sakura: Last year, i went to see her butai “Aoi Hitomi” alone. It was a play with very difficult and thought-inducing plot. To be able to appear in something like that is something only real actresses can do. Not only me, but all the members also want to become like her. What else do you wish to see in her? Sakura:I want to see her acting as an OL in dramas or movies(laugh). For the MV of “Kimi wa Melody” this time, both Maeda san and Oshima Yuko san supported me and made it more enjoyable that i could imagine. Even if they’ve graduated, i hope to work with them like this in future too! What are her charms when you first met her? Itano:Mariko came slightly after the first generation members. Up till then, we were taking dance and singing lessons and worried over how many songs we could remember. But i remember that you were able to memorize all of them. Mayu:It was really lonely after she graduated, but i always watch her on “PON!”. Indeed, her talking skills is really good. Mayu: Yes! I can’t really talk, so your program helps me to learn. Mayu: During AKB48, Mariko sama was always called the “Mariko from above”, but i always thought that she had the cute charm too. I want to see the mischievous Mariko sama from now too! Mariko: Now that i think about it, Mayuyu used to do the Kancho(*Japanese prank)on me. Mayu: That’s right. I did that to the Mariko sama i admire…i was really happy(laugh). Shinoda: It was an event to unveil Team B i think. There was a rumor about this girl who exudes an aura when she dances – that was Mayuyu. Shinoda: She was like the Acchan during her debut – simple at first glance, but somehow her presence draws attention. I remember thinking that she’s cute. Itano: To me, Mayuyu of yester years and now is still the “orthodox idol”. She’s cute like a doll so i hope she remains like that. Shinoda: But she’s surprisingly mature infront of her peers and juniors. Itano: Yes. I also think it’s very fresh and charming when she pokes fun at her peers with a smile. What are the charms that she can improve on? Shinoda: On the contrary, i want to see a blank Mayuyu. Shinoda: Yes. When people learn about her human side, maybe they’ll feel that they have more in common with her. I thought about this too when i first met her, but she seems to harbour alot of power. Itano: Mmm….it may be good to break that shell. Shinoda: When was the first time you both talked? Itano: We were always standing next to each other during filming. Itano: Mayuyu was very quiet(laugh). Mayu: Tomochin san had a very cool image but actually she took good care of the juniors. I think this gap in her image is very charming! Mayu: I think it’s really cool now that she’s a solo artiste. Shinoda: Indeed, it’s different from when we do group performances. It’s great. Mayu: Yes. Her professionalism is different from when she was in AKB48. I feel the strength in her! Mayu: Of cos her cool beauty, and personally, i also wish to see her “my pace” side and more of her real personality. AKB48 43rd single will be released in March 2016 and former aces Maeda Atsuko, Oshima Yuko, Itano Tomomi and Shinoda Mariko will be participating as well. Exiting member Takahashi Minami, who has her graduation concert set for that same month, will also be participating. Takahashi Minami said “I was informed about this yesterday, even though i was told Kuchibiru would be my last single. I’m happy to be able to sing with everyone, but whom shall i apologise to?” Audience laughed because she showed a troubled face. My interest in this group has been waning recently. This reunion will keep me going for another 3 months. Theme is “Kobe Fashion DNA” this year. 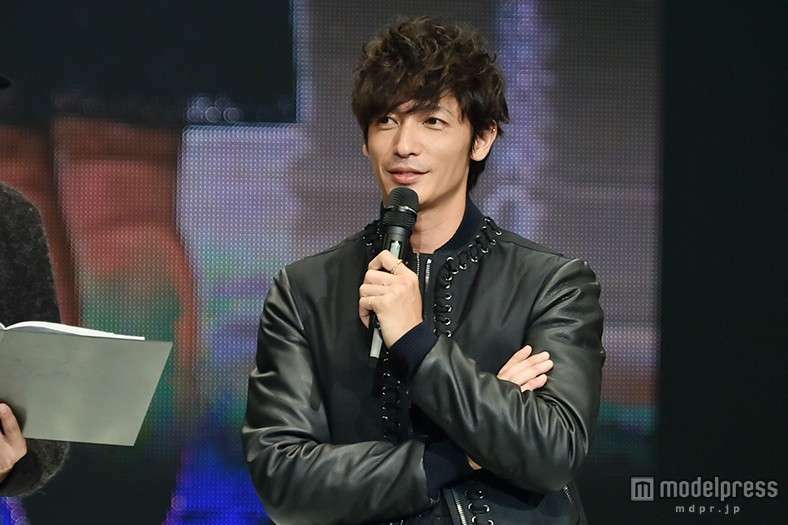 Celebrities like Miura Haruma, Tamaki Hiroshi, Kojima Haruna, Itano Tomomi, DAIGO, E-girls etc showed up for the runway. Miura Haruma tries to give off the cool vibe but the spell breaks as soon as he flashes that trademark smile. I prefer sunshine Miura over cool Miura any day. Kojima Haruna comes out dressed for a picnic and manages to do PR for both the Ted movie and her photobook. Daigo appears in his everyday rock wear. Guy seems to have forgotten that this is a fashion event? Itano Tomomi in a dull color combination. That trench coat is too long for her?! Tamaki Hiroshi looking princely as always. Love the hair! I like this song alot and i can see putting so much effort into this but ….she looks weaker than her backdancers. I’m probably out of touch, but the ex-Morning Musume member Konno Asami who became an announcer at TV Tokyo has her own show, and the concept is dancing with pretty girls. This week she met up with a fellow idol graduate Itano Tomomi and they dance off to Itano’s new single “Gimme Gimme Luv”. The two spoke on first impressions of each other. In other news, Konno Asami will be reuniting with the Morning Musume OG for TV Tokyo’s Music Festival later tonight. Itano Tomomi on the lookout for a boyfriend? AKB48 graduate Itano Tomomi is said to be looking for a new boyfriend after “breaking up” with EXILE Takahiro at the end of last year. “She’s single now and has been telling people around that she wants a boyfriend, even asking them to set up blind dates with people in the industry. The staff around her seem to be agreeable as long as its linked to her enthusiasm for work,” said a rep for a CM agency. The Itano of recent years has been doing concerts and CD releases, but the Internet is always rife with discussions about her changing appearance. “That is all due to her hopes of becoming an artiste. Looking at the artistes she looks up to, like Namie Amuro and Ayumi Hamasaki, the idea of being an idol is not in her sights. But since she was an idol, the sudden change to becoming an artiste is hard for people to accept, so that may be why she is less likable,” said the same rep.